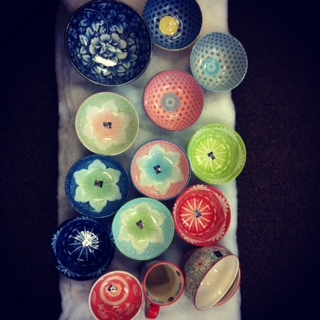 We just got a whole new crop of beautiful Japanese bowls from Fuji Corporation. These bowls are microwavable and dishwasher safe and come in a variety of designs and colorways. Most retail for under $6, making them not only a wonderful addition to your cupboard, but also a screaming deal. Take a look and pick one up the next time you’re at the Cordata store.